Nightmares should not last for 12 years. When Kevin made the fateful mistake of trusting the wrong financial adviser at the Commonwealth Bank, he was in his 50s and planning for a long and fun-filled retirement. Now 70, Kevin lies seriously ill in a hospital bed still seeking justice. Not for himself - it is too late for that - but so he can leave something for his daughter. For 12 years, the Commonwealth Bank refused to accept responsibility for any wrongdoing. In 2003, when Kevin first raised the matter with the bank, scandals in Commonwealth Financial Planning were being swept under the carpet. It took another decade and a few brave whistleblowers for the depth of misconduct to be revealed. The bank itself now admits its treatment of victims such as Kevin was wrong. For five years, the bank fought Kevin through the courts, almost bankrupting him in the process. And almost breaking him – he believes the pressure and anxiety compounded his deteriorating health. Vindication for Kevin came when the Senate inquiry into the Australian Securities and Investments Commission revealed the scale of misconduct at the Commonwealth Bank and identified his planner as one of the worst culprits. But there was still no compensation. MP Warren Entsch, Senator John "Wacka" Williams and others continued to pursue the matter for Kevin. Jeff Morris, the Commonwealth Bank whistleblower who blew the lid on Commonwealth Financial Planning, personally raised Kevin's matter with bank chief executive Ian Narev​ on July 25, 2014. Still there was no action. It is the very scale of the problem that is staggering. On Tuesday, four of Australia's largest financial institutions - The Commonwealth Bank, ANZ, National Australia Bank (NAB) and Macquarie Bank - will be asked to respond to the stories of thousands of Australians such as Kevin. The start of a full Senate inquiry into the misconduct that has engulfed the provision of financial advice in Australia is an opportunity to get some truths on the table. In coming weeks, AMP and Westpac will be facing the same hearings. Kevin's story is not isolated. You would expect a handful of victims in an industry as wide and diverse as financial advice. That has not been the Australian experience. It is the very scale of the problem that is staggering. Timbercorp, Great Southern, Gunns, Storm, Trio, Westpoint and Commonwealth Financial Planning are just a few examples. The list of scandals in truly alarming. Last week we learnt that ANZ had wrongly charged 8500 of its customers close to $30 million for work that was never done. A month ago we learnt that NAB was engulfed in brushing under the carpet misconduct by its own planners. Australian banking is a very profitable business. That's a good thing - 23 years of uninterrupted economic growth has been built in part by the success of the banking sector. It is a large employer of Australian workers and the four big banks all sit comfortably in the list of Australia's top 10 companies. None of this, however, should absolve them from their responsibilities. There remains a moral and social obligation that is not being met by Australian banks, particularly to the victims of financial misconduct. At the height of the global financial crisis, Australian banks faced the prospect of being hit with the same capital flight that had devastated other banks across the globe. The Australian public were prepared to dig deep and provide a guarantee to ensure the banks remained protected from global movements. Economics analysts Macroeconomics Australia have valued this guarantee at being worth between $2.9 billion and $4 billion a year. That is an implicit subsidy the major banks are getting for free because the Australian public is prepared to stand behind them. The Australian government's support has increased the credit ratings for the banks and lowered their cost of borrowing. With that in mind, surely some better funded measures to deal with the victims of financial misconduct is not too much to expect. 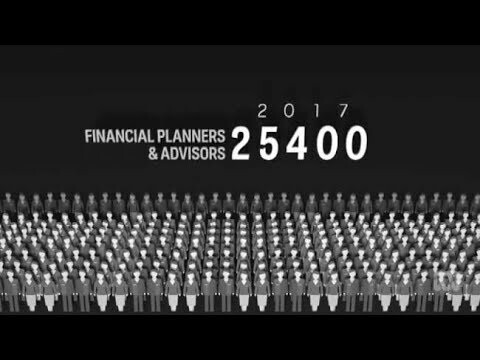 In recent months, there has been a large focus on improving financial advice standards. This work has been bipartisan and the roundtable policy development proposal being pursued by the federal government is a positive move. But this focus on future standards does not allow us to forget or ignore the many victims of financial scandals that have been left behind. At 5pm last Friday - just days before the Commonwealth Bank's chief executive is scheduled to front a hearing on financial planning scandals - Kevin's daughter finally got the call she had been awaiting. A senior manager called and offered her a compensation deal. The amount is still far too low. While no amount of money will be able to compensate for the pain and hardship Kevin has been through, a reasonable offer is the least the bank could have provided. For Kevin, the Commonwealth Bank can and should do better. That's the least they owe him. I'll be asking Narev about it on Tuesday. Senator Sam Dastyari will chair the Senate inquiry into financial advice, which begins on Tuesday. 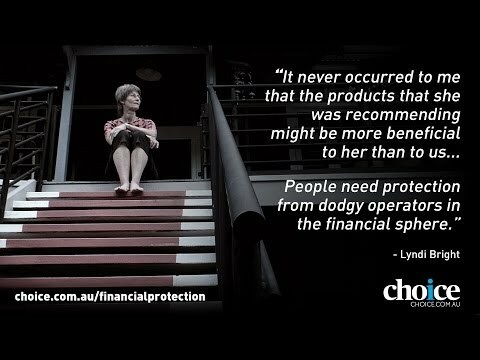 Do you realise that if a financial institution failed to act in the best interests of a customer and the person retired poor, the Australian taxpayer would have to fund 1000s of poor retirees. It is a national disgrace that the banks were corrupt, but the far greater crime is to let the banks get away with the crime. 0.25% on a savings account and 28% on a credit card is robbery, but to pay tellers spotter fees to rob people of their Super is the end of the bank industry in Australia. Search "CBA, corruption" and consider how many elderly possibly disabled or sick retirees died poor in the last 10 years because of bank corruption.